Two of the robotic missions NASA selected for further study last week would be powered by experimental nuclear generators, a new technology under development to boost the efficiency of electricity production in deep space. NASA picked robotic missions to Mars, a comet and Saturn's moon Titan as finalists last week for a launch opportunity in 2016, and two of the probes would employ a cutting edge nuclear power source never tested in space. 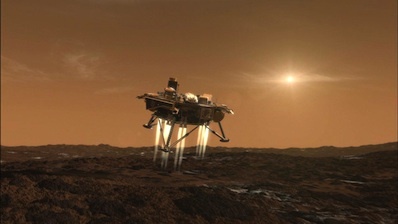 The space agency plans to settle on a single mission in June 2012, fully funding the winner for development and launch later this decade. Although NASA requires the missions to launch by the end of 2017, scientists in charge of all three probes target blastoff in 2015 or 2016. Probes to Titan and comet Wirtanen, a small object composed of a mix of rock and ice, would be powered by Advanced Stirling Radioisotope Generators on their journeys into the outer solar system. The nuclear power units, called ASRGs, use less plutonium than existing generators. NASA and the U.S. Department of Energy face a shortage of plutonium-238 nuclear fuel for robotic spacecraft, causing officials to turn to more efficient power generators. The Department of Energy is managing the ASRG's development, and NASA's Glenn Research Center in Ohio has conducted more than 14,000 hours of trouble-free endurance testing of a ground model, according to Lockheed Martin Corp., the prime contractor with the Energy Department for development, fabrication and testing of the ASRG. Plutonium is the best way to generate power on deep space probes because solar panels do not receive enough sunlight at such distances. But the U.S. no longer produces plutonium-238, the isotope best suited for space power, and Russia is charging higher prices for access to its stockpile. While scientists lobby to restart U.S. production of plutonium-238, federal agencies started developing a new power generator built around Stirling engines and linear alternators. The new device is called an Advanced Stirling Convertor because it transforms the decay heat of the plutonium-238 fuel into electricity. The Stirling convertor is being developed by Sunpower Inc. of Ohio. 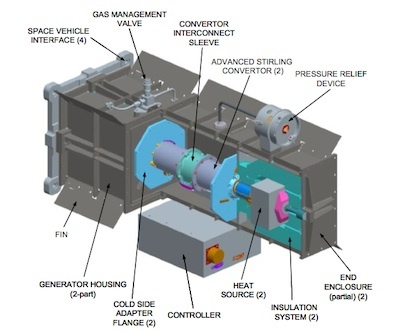 Unlike Radioisotope Thermoelectric Generators, which have powered satellites and probes for nearly 50 years, the ASRG has the added complexity of moving parts. But each ASRG creates between 130 and 140 watts of electricity with 1 kilogram, or about 2.2 pounds, of plutonium-238. More than four times more plutonium would be required to generate the same power in an existing RTG, according to the Energy Department. Officials want to complete extensive ground testing and a low-cost flight demonstration before flying ASRGs on a multi-billion dollar flagship mission. NASA tapped the Discovery program, the agency's line of frequent, relatively inexpensive planetary probes, to test the ASRG system in space for the first time. The mission costs are capped at $425 million, not including the launch vehicle. NASA will also provide two ASRGs at a value of $54 million as government-furnished equipment. The Titan Mare Explorer, a proposed craft that would study a methane-ethane sea, would carry two ASRG units to produce electricity. 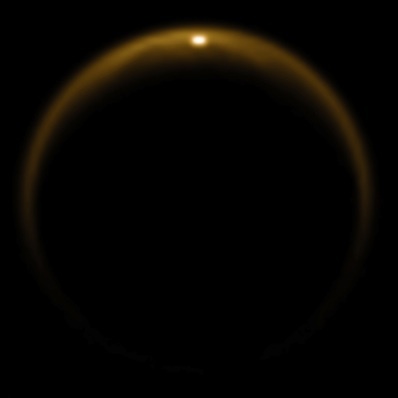 After launching in January 2016, the probe would cruise through space for more than seven years before reaching Titan in 2023, said Ellen Stofan, TiME's principal investigator at Proxemy Research Inc.
"We will use two ASRGs and have a 96-day mission in which we accomplish our science goals of characterizing the Titan sea and its environment," Stofan told Spaceflight Now. "The ASRGs last years and years beyond that, of course." The TiME capsule would plunge into Titan's thick atmosphere, parachute through blustery clouds and touch down in a hydrocarbon ocean rich in organic molecules, the building blocks of life. The craft would float in Ligeia Mare, a large sea in Titan's northern hemisphere, and search for complex organic chemistry while studying the ocean's interaction with the moon's robust atmosphere. Lockheed Martin would build the TiME spacecraft and the Johns Hopkins University Applied Physics Laboratory would manage the mission for NASA. Another Discovery mission candidate named Comet Hopper would also rely on two ASRG units on its journey to Wirtanen, a small comet about 0.7 miles in diameter, according to Jessica Sunshine, the project's principal investigator from the University of Maryland in College Park. Built by Lockheed Martin and managed by NASA's Goddard Space Flight Center, Comet Hopper would blast off in late 2015 and reach Wirtanen in 2022 nearly 500 million miles from the sun, nearly the distance of Jupiter's orbit. Wirtanen's orbit brings it within 100 million miles of the sun every five-and-a-half years, and the Comet Hopper probe would land on the icy rock up to four times over two years as the objects fall back toward the sun. The craft would measure changes in the comet as sunlight and heat trigger eruptions of dust and gas. NASA's third finalist for the next Discovery program mission is the Geophysical Monitoring Station, or GEMS. GEMS would launch in early 2016 and begin an eight-month journey to Mars, where it would parachute into the atmosphere and conduct a rocket-powered landing. 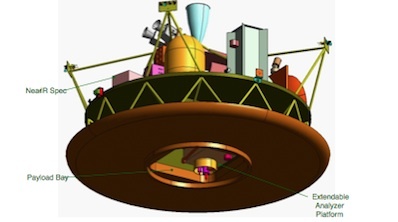 The mission would reuse Lockheed Martin's successful Phoenix lander design. The mission would probe the interior of Mars with a seismometer, a penetrating mole instrument to measure subsurface heat, and an experiment to monitor the planet's wobble and dynamic motion. GEMS would be powered with solar arrays like Phoenix and not carry nuclear generators, according to Bruce Banerdt, the mission's chief scientist from the Jet Propulsion Laboratory. All three proposals will receive $3 million from NASA to continue concept studies before another review next year to select a mission for flight.